Please send a tutorial to modify the Country label "Please Select" to other language, once I can not modify the code as you suggested. The code in the box does not accept modifications. Give a step by step information. Thank´s. Hello. Thank you for posting your inquiry here on the forum. After that, open the html file on a notepad that you want host on your website. 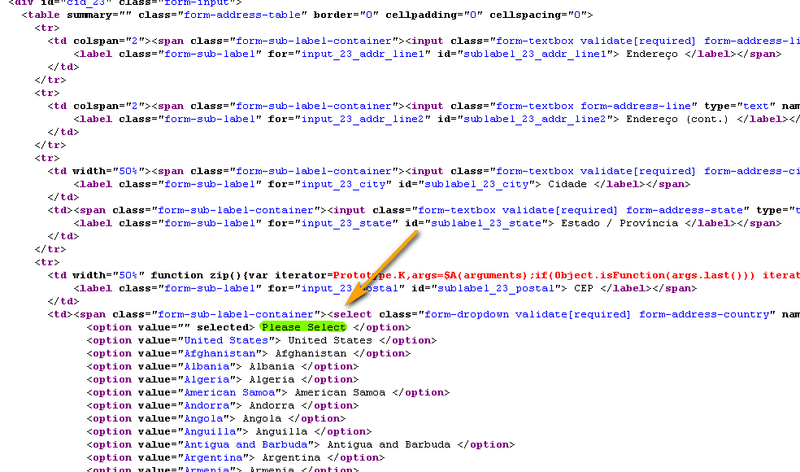 Find this section and edit the "Please select" and save the HTML file. Host that to your website.